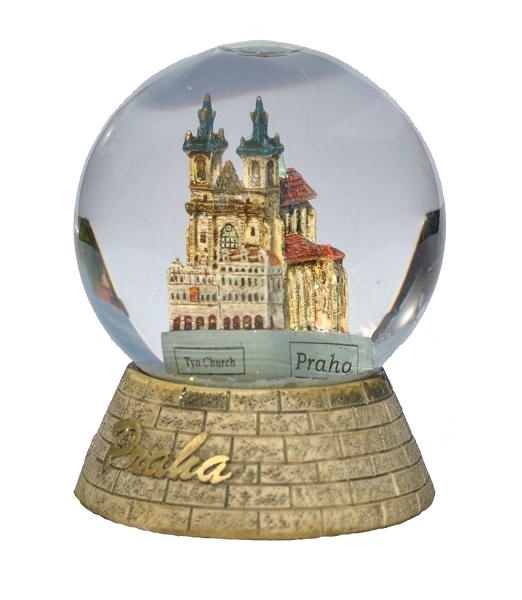 Glass snow globe on ceramic piedestal, containing small ceramic model of the Church of our Lady Victory before Tyn on the Prague Old Town Square. Water contains miniature snow flakes that create effect of snowfall if you shake the globe. Nice memory of Prague, not only for the Christmas time.